Have you ever known or seen a person who just from their look they should have a name other than their real name? Someone whom you just can’t get it out of your mind that they should be called another name every time you see them? 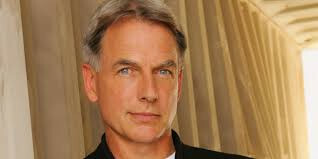 Mark Harmon is one of these. He should be called Timmy. I think the show should be called the “Timmy Show” instead of NCIS. NCIS by the way stands for Naval Criminal Investigative Service, and I think it’s a show about a bunch of super cops who spend all their time saving us from evil people and foreigners in exotic Middle Eastern countries. All the characters in the show talk endlessly and mean-spirited in each other’s faces and rapid-fire to impress us with their alleged intelligence; and the women on the show act tough. I already know women are tough I know my wife and she has to be tough to put up with me. Harmon is one of those TV stars you can send a MemoryTag greeting card to telling him he’s one of your most/least favorite TV stars. I’ve just got to tell him that he should be named Timmy. Even though he’s 66 years old he looks so youthful. He looks like a 14-year-old kid with salt and pepper hair. The script writer for the show who comes up with these lines is probably a kid younger than Timmy looks who is hopped up on speed. Each episode has at least 100 actors desperately hoping they can leave the show and become big stars even though the last one to accomplish such a feat was Steve McQueen and that was only because of his off-camera motorcycle-riding hobby (in the Great Escape a stunt man did the motorcycle jump at the end of the movie but the audience thought McQueen did it and he became a major star). What angers me most about the show is that nobody of the hundred actors who appear act human. They all try to act so cool, for example, not one of the men including Timmy ever scratch their crotch. None of the women who are called upon to prove they are as tough as the men are allowed to cry (a sign of female weakness). In the case of NCIS they’re always talking about Afghanistan, every crime or threat is about Afghanistan. The script writer on speed just can’t get Afghanistan out of his mind as the place where the bad guys are, or have been, or there is a connection of some kind to————Afghanistan—as though Afghanistan is somehow in vogue—–as if nothing bad ever happens anywhere except—Afghanistan. Not one episode has concerned itself with an evil plot originating from Bakersfield. Then there is also the obligatory corpse scene. Every episode has to contain a scene with a dead body on a slab. This gives David McCallum, the former star of the Man from Uncle TV show way back in the Bronze Age of television, a chance to walk out, say a few words to Timmy about how the make-believe corpse died, and prove to us that for two minutes he can still remain upright and breathing. He looks worse than the corpse. Who plays the corpse anyway? I’d like that job. All you have to do is lay there, no millions of words to memorize from the speed freak teenage script writer. All you have to do is lie on your back and look grey-colored. I’ll bet the guy who plays the corpse as Timmy and David talk about the corpse and Afghanistan hopes he can get out of the show and become a big star (corpse). I can’t help it the alleged agents on the show act so hip, so cool, so intelligent, so know-it-all, so robotic devoid of any human qualities, so mean, so bureaucratic and coldly efficient like automatons, that I’d like to step in amongst them and cut a— big—- juicy—- fart!—right on the air. Send Timmy a MemoryTag card telling him how much you appreciate/don’t appreciate him. MemoryTag cards are a fraction the cost of store-bought cards. MemoryTag is the card that says just about everything from happy birthday to get well cards, graduation cards, Mother’s and Father’s Day cards, sympathy cards, weddings, anniversary cards, funny cards, weird cards, Valentine’s Day cards, thank you cards, all of them a fraction of the cost of a store-bought card and with video message capability.